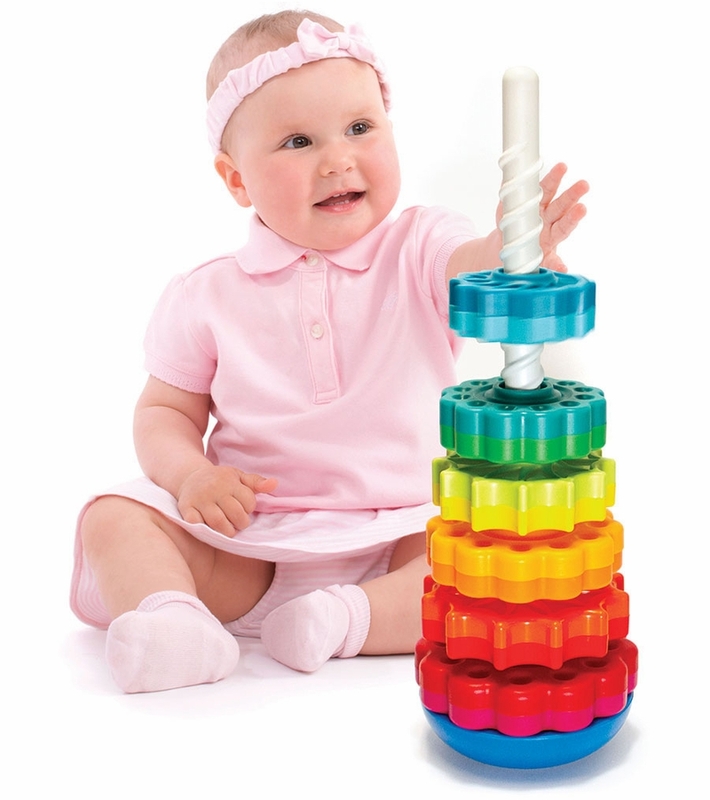 It's a stacking toy with a spin�literally! 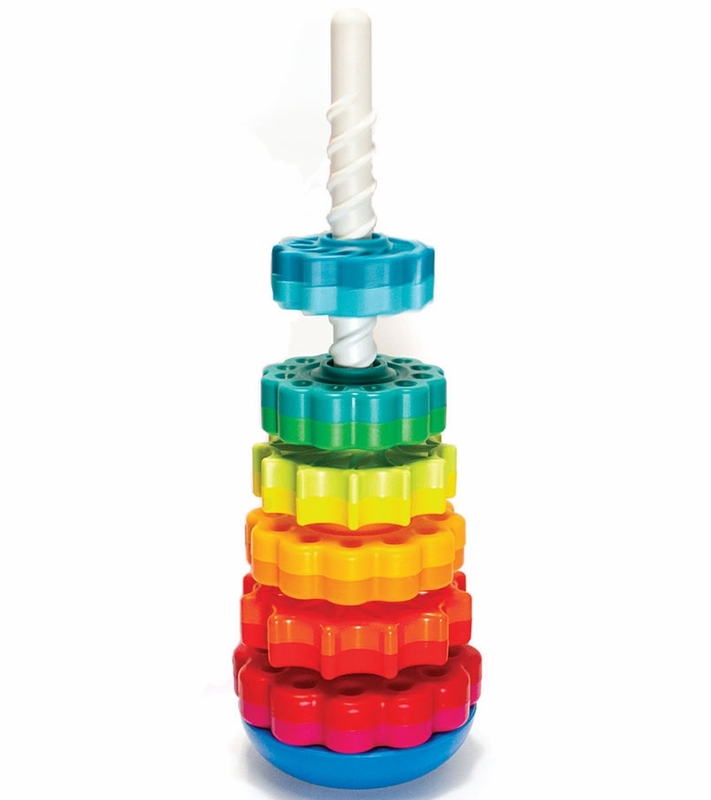 Drop the vibrant discs onto the threaded corkscrew pole and go ooooh as they spin fast and smooth to settle onto the reversible base. 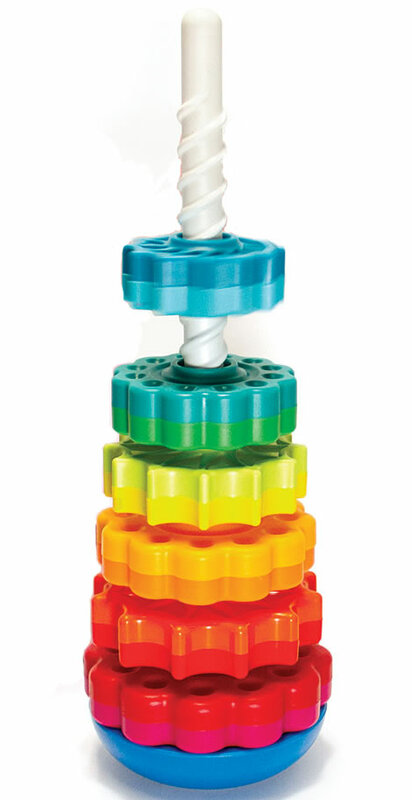 Choosing how to set the base is half the fun for your toddler. Pick either the wobble base or turn it over for a solid seat.